Scroll down for a free printable Map Of Montana collection. 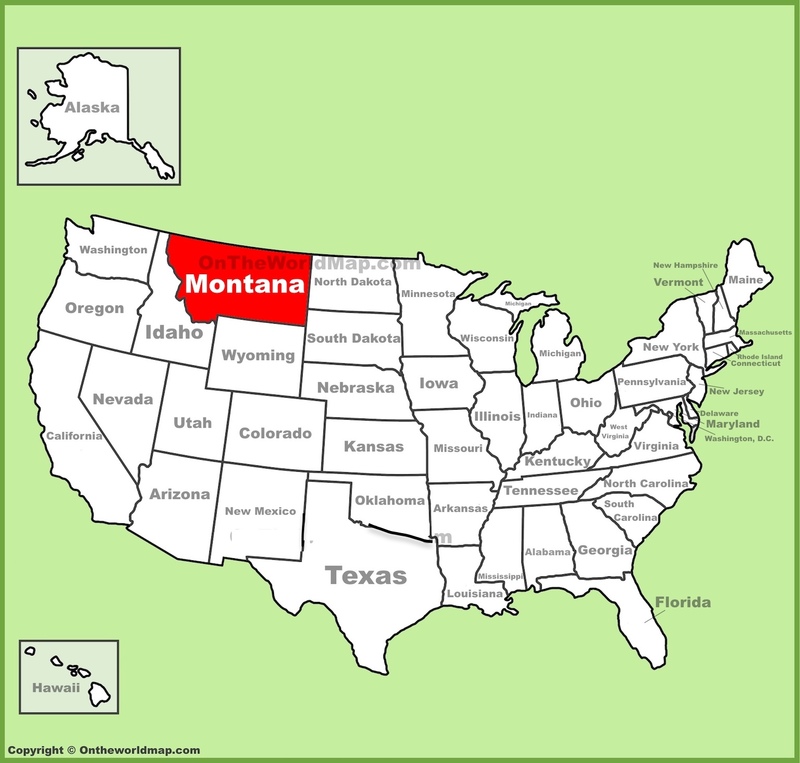 The above US map shows the location of the state of Montana in relation to other US states. On November 8th of 1889, Montana became the 41st of 50 states admitted to the Union. Scroll down to find fascinating facts about the state of Montana. Also see a map of Montana cities, a topographical Montana map, and related links to other free printable items. The nickname for Montana is "The Treasure State," due to its rich mineral reserves. Famous people from Montana include comedian Dana Carvey (Missoula), actor Gary Cooper (Helena), journalist Chet Huntley (Cardwell), writer Will James (Great Falls), and daredevil Evel Knievel (Butte), to name a few. People in Montana enjoy a delicacy called Rocky Mountain Oysters. Montana is home to the largest herd of migratory elk in the United States. In the late 1800s, Helena, Montana had a higher percentage of millionaires than any other city in the world. Montana is home to more species of mammals than any other US state. Native American tribes from Montana include the Blackfeet, the Crow, and the Oglala, among others. In fact, Montana is home to 7 Indian reservations. Montana has many ghost towns, such as Bannack, Black Pine, Combination, Comet, Keystone, and Pony. The state of Montana has an average population density os about 6 people per square mile. Custer's Last Stand took place at Little Bighorn, just south of Billings. For details, read Crazy Horse Appearing. , a FREE, full text, award winning novel, available only on this website, and featuring the ONLY fully authenticated photo of Crazy Horse known to exist. 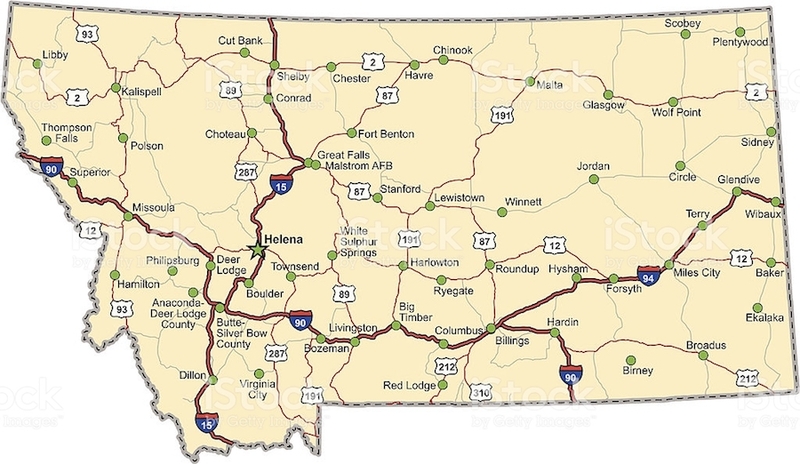 Above: A Free Printable Map Of Montana showing cities and major roadways. Above: A topographical map of Montana, showing the state's many mountainous regions.